Dictators of the world, almost without exception, are always attempting to smother “Truth & News”. They are especially afraid of the internet news which in split second reaches its thousands of destinations. The raison d’être of the dictators to smother or block off the truth and news is that it tarnishes their image gravely. The Burmese Junta is no exception and it has become a big joke when it accuses the well established radio stations such as the BBC, VOA and RFA and the TV stations like the CNN and Aljazeera as liars. It is the case of the thief shouting “thief!” to divert the attention of the media and the public away from itself. Very lately websites belonging to The Irrawaddy magazine, Mizzima , Khitpyaing (New Era) and Democratic Voice of Burma (DVB) – which are all the exile media groups, are attacked again (the first attack was in September 2008). This proves that the Junta has become desperate. It uses Distributed Denial-of-Service (DDoS) that fires thousands of malformed web connections against these sites. A DDoS attack is defined as an attack in which a multitude of compromised systems attack a single target, thereby causing denial of service for users of the targeted system. A flood of incoming messages to the target system essentially forces it to shut down, thereby denying service of the system to legitimate users. The subsequent attack on the Democratic Voice of Burma was 4.5 gigabyte-per-second (Gbps), also known as a RESET “denial of voice,” hit the website and its infrastructure which clearly indicated that the regime wanted to silence all information pipelines. This strategy has become the Burmese Junta’s key weapon in cyber warfare, with the help from dictatorial countries like China, Russia, Georgia, Vietnam, Israel, Singapore and Kazakhstan, amongst others. Burma already has some of the world’s most draconian media laws, and ranks 171 out of 175 countries in the Reporters San Frontiers. With upcoming November 7 elections only weeks away, the Junta has already started tightening its borders to restrict journalists and observers from entering lest the truth be revealed. It is suspected that the junta is organising these attacks in advance in preparation for the elections, which the exile media have the ability to cover extensively and credibly. It is a very big and well coordinated effort to bring down the websites. The local media is strictly censored and the news gap is filled by Burmese exile-run publications and foreign media. Now it is known that these well-organized, massive cyber attacks came largely from Chinese internet service provider addresses. “Cyber mercenary hackers are more sophisticated now and the volume of the DDoS attack on the Irrawaddy was 4 gigabytes, 3 gigabytes larger than the attack in September 2008” said Win Thu, a network technician. The attack on the DVB website was about 120 megabytes per second. The Mizzima attack was six gigabytes. From the international perspective the lofty discourse on cyberspace has changed a lot and even now the term sounds passé. Talks concern with privacy, antitrust, goggles, mobile applications, green information, technology etc. One and a half decades after its manifestation as a global unifying network, it seems to be like balkanising. First, the governments, especially dictatorial ones, are increasingly reasserting their sovereignty. Not only totalitarian countries like China, North Korea, Iran, Burma etc., but several countries have demanded that their law enforcement agencies have access to emails from Blackberry smart phones, Google and even Skype. Second the IT companies (in Burma it is the government) are building their own digital territories, where they set the rules and control or limit connections to other parts of the internet that is detrimental to their interests. Third, the network owners would like to treat different types of traffic differently and try to create faster and slower lanes on the internet. “Just as it was not preordained that the internet would become one global network, where the same rule applied to everyone, everywhere, it is not certain that it will stay that way” says Kevin Werbach, a professor at the Wharton School of the University of Pennsylvania. 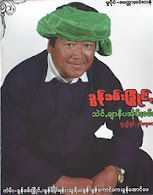 Everybody, including General Than Shwe, has strong incentives to join the internet world. Most important of all are the network themselves, whereas internet itself is the network of networks. Its founding fathers created the basis for this virtual circle by making it easy for networks to hook up and for individuals to get the news. Whatever the cost, the open internet has been a boon for humanity. It has not only allowed companies and other organizations of all sorts to become more efficient, but had also enabled other forms of production, notably open source, in which groups of people, often volunteers all over the world, develop products and relay the news good or bad. Individuals have access to more information than ever, communicate more freely and forms groups of like minded people more easily. Indeed it has become an open platform. In dictatorial and totalitarian countries like China, Singapore and Burma or in several African states, there would never have been an Amazon, Face book, Google or even Skype as it is blossoming now. Ironically, the very success of the internet has created negative forces. The internet is too important for dictatorial regimes to ignore as it always speaks out the Truth. These governments are increasingly finding ways to enforce their laws in the digital realm. In most of the internet Cafes in Burma the government installs local software which makes the computer beep once if it goes on to the pro-democratic news media outside of Burma, prompting the owner to intervene lest both of them landed in jail. But equipped with cell phones and digital cameras, and with access to the internet, determined young Burmese are enthusiastically communicating with each other and the outside world in their own campaign to expose the Truth. Of course the most prominent barrier is “China’s Great Firewall”. The Chinese authorities are using the same method and technology that companies use to prevent their employees accessing particular websites and online services. That is the reason why Google was kicked out of China. It seems that China reacts to anything that is critical about its policies, as free speech and dissent are things that contradict Confucian and Chinese Communist doctrines. “China’s Great Firewall” already imposes tight controls on the internet links with the rest of the world, monitoring traffic and making many sites and services unavailable. Other countries such as Cuba, Saudi Arabia, and Vietnam etc. have done similar things, while other governments are tightening controls on what people can see and do on the internet. Currently there are more than a dozen countries that block the internet for political, social and security reasons. They do not need clever technology but they go for dominant online firms in like manner as what the Burmese Junta is doing. That is targeting the outstanding Burmese media abroad. There are dangers in the case that dictatorial governments start tinkering the internet’s address book known as the Domain Name System (DNS), which allows the network to look at the computer on which the website lives. If this is possible then the authority can control the people of what they see. This is precisely what the dictatorial regimes like China, Burma and Singapore are doing. Frankly admitting outsiders cannot do much in case of restrictions imposed by governments. But the civilized Western governments have set good examples as making a criminal case in their respective countries in interfering with the internet. There is no illusion that a free society can think much more and effect more innovations and create more incentive than a closed society. There are much more economic benefits for openness. The internet’s role in fostering trade, development, education, jobs far outweighs the closed society and the Western scientists surpass those of China and other closed countries because of unfettered access to information. Knowing that the Burmese regime has a good record of plugging the internet services in a bid to prevent the outside world from knowing the full extent of the brutal suppression of the 2007 saffron revolution, the Burma Media Association and the major media organizations should give preference to the intellectuals and professionals a greater role in their work, not only in enhancing the free flow of information but also to envision about the ways and means to prevent another Junta’s cyber attack, which will come with the elections. The major web companies of the world especially those which have Burmese connections should be asked for help. Exposing the “Truth” is vital for the Burmese democratic movement. Pooling human and material resources together, the movement should have no problem in vanquishing its arch enemy the Burmese military junta.